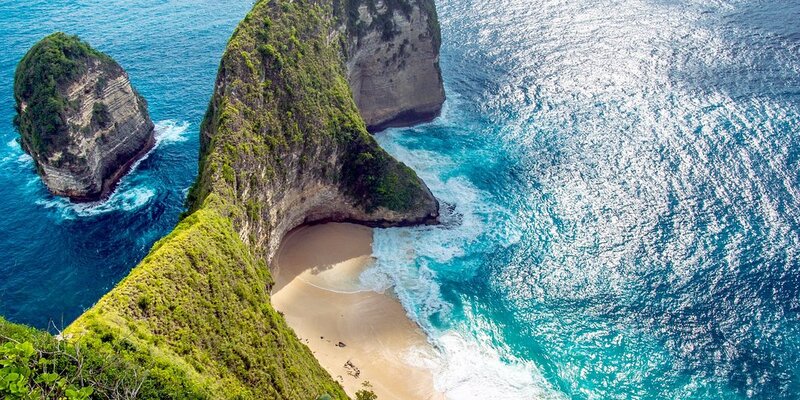 BALI - Indonesia | Bali is a living postcard, an Indonesian paradise that feels like a fantasy. Soak up the sun on a stretch of fine white sand, or commune with the tropical creatures as you dive along coral ridges or the colorful wreck of a WWII war ship. On shore, the lush jungle shelters stone temples and mischievous monkeys. The “artistic capital” of Ubud is the perfect place to see a cultural dance performance, take a batik or silver-smithing workshop, or invigorate your mind and body in a yoga class.